There is something earthy and real about hand woven fabrics. You almost sense a story behind each yard. 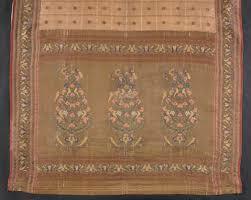 India has been and still is a treasure trove of hand woven fabrics spanning the length and breath of the country. Some have withstood the test of time, technology and mass production and survived. Indeed thrived. Some, probably, have got lost in the mist of factory and power loom produced textiles. And now, in some cases, contemporary designers are giving a second lease of life to a few. Endorsed by celebrities and worked upon by some of the best designers, weavers from across the country are using their delicate wefts and warps to bring a few textiles out in the open, in Bengal, Rajasthan, Aurangabad and elsewhere. While the likes of Banarasi and Patola have managed to get their dues on national and international ramps, lesser known fabrics like jamdani, paithani and mashru are beginning to grab eyeballs and a fair share of limelight. The designers are not only working to create collections from these textiles but are also working together with weavers themselves to contemporaize their style and designs. Take Paithani for example. Named after the town of Paithan in Aurangabad, these hand-woven fabrics are very fine silk sarees with a peacock design in the pallu. For designer Gaurang Shah, paithani is a rare breed. The 40 looms he has in Aurangabad produces just about 30 paithanis a year, because each of them takes between one year and three years to be made. Paithani, according to Gaurang, is the real jamdani (one of the finest muslin textiles originally produced in Dhaka, Bangladesh) of India and he has been spending time on its revival and expansion. 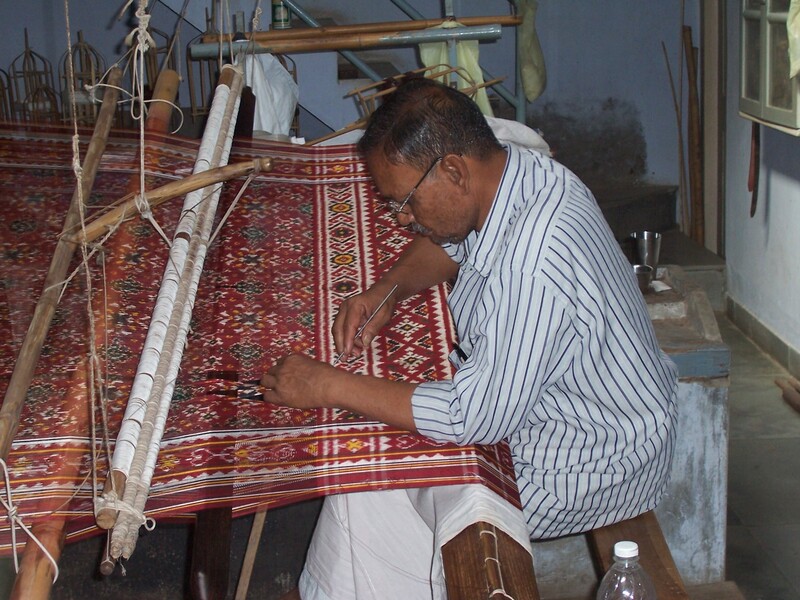 “We are including a lot younger generation weavers to carry forward the legacy of paithani. Since the production of these saris are very slow, we give a lot of importance to the finished product so that it makes it to the list of collective items in one’s closet,” he said. Gaurang not just experiments with the texture by giving it an organza, khadi or tussar body sometimes, but takes paithanis beyond the traditional nine yards. Paithanis under Gaurang’s label, which cost Rs 1.5 lakh to Rs 12 lakh, however do not experiment much with colours, keeping it restricted to the simple basics of red, pink, yellow, green and orange. Moving from the west coast to all the way in Bengal, Zakir Hossain’s cluster in the Chandrapur village has 300 artisans working on jamdani silks that make their way to Mamata Banerjee’s Biswa Bangla, an initiative to promote the state’s dying arts and crafts. Hossain’s name doesn’t ring a bell in the designer circuit, but his creations sell at not less than a lakh at Biswa Bangla stores – the latest being an antique rose creation that sold for Rs 1.5 lakh at the Kolkatta International Airport. Inspired by things like Multani tiles, exhibits at the Victoria Albert Museum in London, macaw birds and even a Nilambari jamdani lying at Tagore House in Bengal, these jamdanis have weaved in modern designs to traditional yarns. Chandrapur, Nadia, Phulia, Mursidabad and Kalna are a few of the places that house the jamdani weavers. In 2015, jamdani alone contributed Rs 2 crore to Biswa Bangla’s country sales. Originally known as Dhakai, after the city of Dhaka, jamdani is a Persian term derived from the words jam and dani, which mean flowers and vase and describe the flower patterns in the Dhakai saris. Away from the weavers of Bengal, designer Sanjay Garg is writing the revival story for mashru through his popular brand, Raw Mango. The word mashru comes from the Arabic word ‘sharia’ – that means permitted by Islamic law. Mashru was developed around the 16th century to allow Muslim men to tweak the rigid system that prohibited luxury in their lifestyles; in this system, silk was equated with leisure and decadence. This is where mashru came in which wasn’t exactly silk, but quite similar to it. 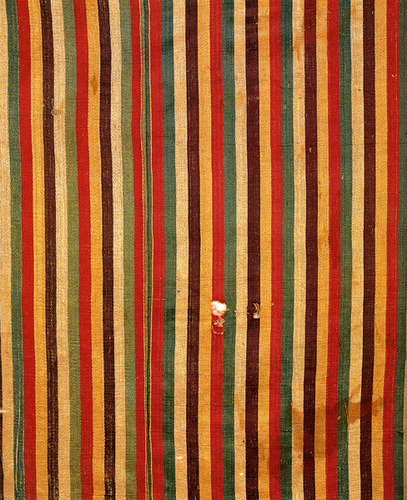 Mashru was a brilliant, highly skilled invention that presented a blurring of binaries in being both silk and cotton. The warp faced satin weave allowed silk to be visible on the surface, giving the fabric its desired shine. Mashru broke a rule within a system, and emerged as a legally permitted fabric for men to wear. Small steps towards a rebirth of these textiles and one can only hope that with time, these beautiful fabrics will find a more easily accessible market and in our everyday life. © 2017 Direct Create. All rights reserved.